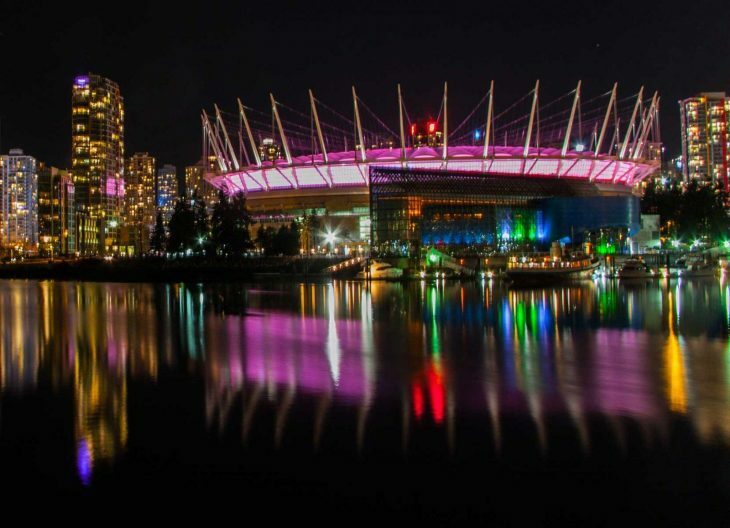 Chances are that you’ve already heard about how Vancouver city is a fun and diverse place to visit. When you’re planning a trip to Vancouver, you may not be sure where to start. 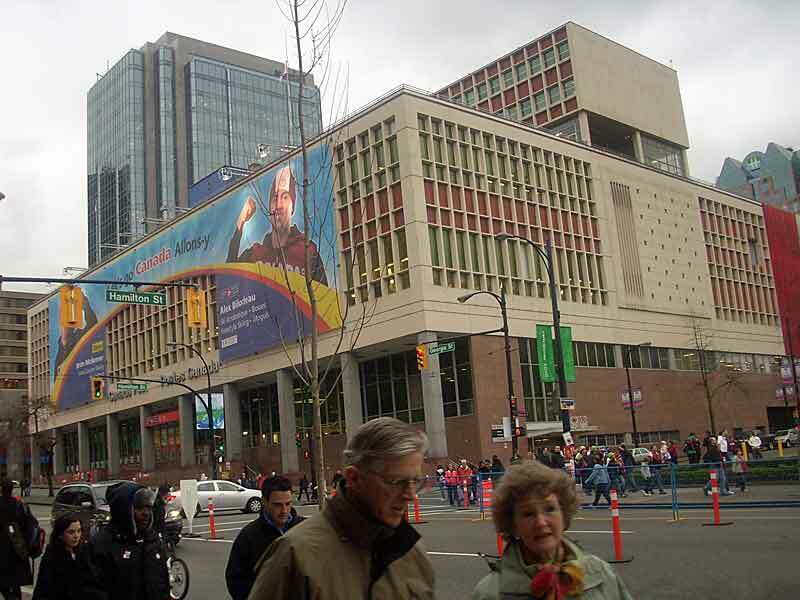 Vancouver has plenty of heritage buildings, museums, events, and recreational activities to enjoy. What many people don’t realize is that many of the popular attractions around the city have also been used in film and television shows. Vancouver has one of the busiest film industries next to LA, New York, and Toronto. Basing your Vancouver trip on popular filming locations may help you to narrow down your vacation to the best that Vancouver has to offer. BC Place on opening day 2011. 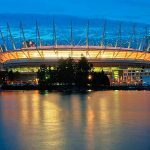 The BC Lions play for the Canadian Football League and you can catch a game at BC Place Stadium from June to November. You can see the cabled roof from kilometres surrounding the downtown region of the city. Many TV shows have been filmed in and around the Stadium including Caprica, Highlander: The Series, The Troop, and MacGyver. 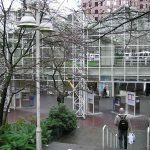 If you’re in the area, walk down to the Burrard Street Skytrain Station where they have filmed The Trial of the Incredible Hulk, Payback, Edison Force, and other movies. The old Canada Post building is still functional, and is located in a beautifully renovated heritage building on West Georgia. Here you can buy Canadian stamps, coins, and other memorabilia, as well as take photographs of the building. This was the location for many Smallville scenes. Vanvoucer Public Library is built like a Roman Amphitheatre. 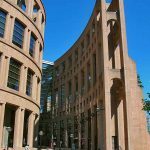 Another example of the Roman influences in the architecture of Vancouver Public LIbrary. 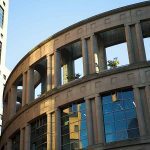 It’s just a short walk from the Canada Post building to the Vancouver Public Library. This unique building is in the shape of a Roman coliseum and was completed in 1995. You may recognize this iconic building from Battlestar Galactica, Caprica, Mr. Magoo, Fringe, the Imaginarium of Doctor Parnassus and The Killing. The interior promenade has small cafes and gift shops where you can buy souvenirs. 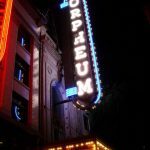 Sign of Orpheum Theatre in Vancouver. Stage at Orpheum Theatre in Vancouver. 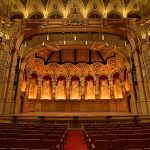 Check the online schedule for the Orpheum Theatre on Granville, so you can take in a classical concert or play. It originally opened in 1927, and has incredible acoustics and decor. It’s also the location where they’ve filmed scenes from the X-Files, Psych, and Breaking Dawn. While you walk along Granville, you’ll find some great niche types of shops where you can buy maps, comic books, military surplus gear, and even Fluevog shoes. Granville Street is often shut down for special events including the Canada Day Parade, Pride Parade, Halloween Parade, Word on the Street Festival, and more. 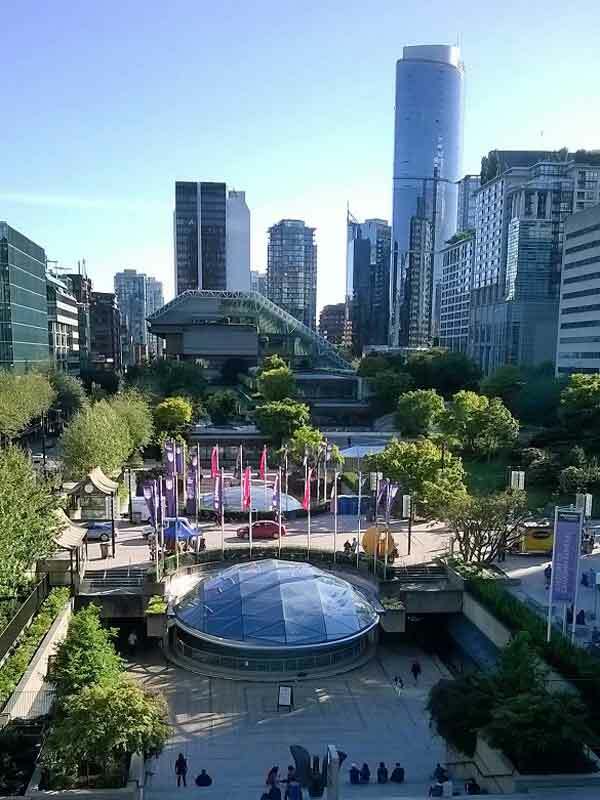 At Robson Square you can try outdoor ice skating, then visit the Vancouver Art Gallery where they have world-class collections of fine art. You can sit on the rooftop deck and enjoy a meal, even in the winter time. Vancouver City has hundreds of cafes and restaurants, all within walking distance in the downtown core. You can also find many night clubs and traditional English style pubs. The next time you’re out to a movie with friends, or watching a TV show, you’ll be able to brag to your friends about how you saw all these filming locations during your trip to Vancouver! Do you have more tips about TV-series or movies recorded in Vancouver? Please share them via email, in the comments below, on Twitter, Facebook or Google+. Guest Post: How To Do Sydney on a Budget.